Jamie Theakston - TV & Radio Presenter and Speaker. With a long and varied career in TV and radio presenting, Jamie Theakston makes for an excellent host and presenter for a wide variety of events. 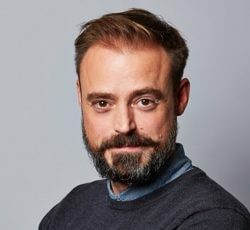 Jamie Theakston, respected TV and radio presenter, has become a household name thanks to his Breakfast show on Heart FM as well as his roles on mainstream shows like Live & Kicking and Top of the Pops. Jamie has had a long and varied career in TV and radio: his career kicked off after he teamed up with co-presenter Zoe Ball in September 1996 on BBC1’s Saturday morning show Live & Kicking – an instant success which earned a BAFTA and generated twice the amount of viewers of any other Saturday morning show. Three years later, Jamie decided to move forward and explore other projects, landing his first main TV presenting role on BBC2’s The Ozone in 1999, after acting as a regular host on iconic BBC1 show Top of the Pops in 1998. The following few years also saw Jamie play himself in two series of the mock-interview show Rock Profile for UK play, with Matt Lucas and David Walliams. This in turn led him to appear alongside the pair in an episode of the BBC1 series Little Britain. Jamie quickly became a key anchor for the BBC, presenting their coverage of the much hyped lunar eclipse in 1999, fronting the top-rating Saturday night quiz show A Question of Pop, hosting coverage of Glastonbury and presenting The Millennium. In 2000, Jamie was approached by Channel 4 to co-host The Priory with Zoe Ball. The two of them went on to present three successful series of the show, further cementing Jamie’s reputation as one of the UK’s best live TV presenters. After being invited to launch a weekly two-hour radio show on Radio 1 in 2000, Jamie’s radio presence developed further as he undertook his first regular sports show for BBC Radio Five Live. Simultaneously, he continued to add to his portfolio of TV work with CHannel 4’s ratings winner 100 Greatest Kids Shows, as well as hosting Natural Born Losers and the holiday show You Call the Shots, both for BBC1. Stage success followed in 2002 when he played the lead in Yasmin Reza’s smash hit play Art and after that when he played Frederick Lowndes in Somerset Maugham’s Home and Beauty to rave reviews. In 2003, Jamie undertook his first major acting role in BBC1’s Murder in the Mind. 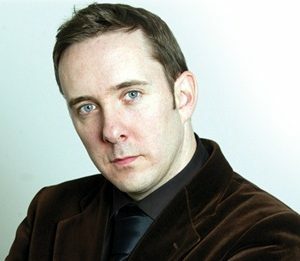 From 2003 to 2006 he presented four series of The Games for Channel 4, a reality show which saw celebrities compete against each other in Olympic style events. In 2007, The Search aired on Channel 4, a game show conceived, produced and presented by Jamie himself. That year also saw Jamie present BBC1’s coverage of the Princess Diana Memorial Concert, Sport Relief and The People’s Quiz. In 2009 he appeared alongside Zoe Ball to host the prime-time series Britain’s Bets Brain for Channel Five, and in 2010/2011 he teamed up with Activia for a series of TV adverts, as well as featuring in The South African Tourism Board’s nationwide PR campaign and practicing his tennis skills as part of the LTA’s All Play scheme to encourage more people in the UK to play the game. In 2013 he was an ambassador for Disney’s Winnie the Pooh Storytelling competition to find the UK’s best storytellers. Jamie has filmed three series of Forbidden History for the Yesterday Channel, which he has fronted since 2013 to wide acclaim. The programme uncovers the truth behind great historical myths, conspiracy theories, ancient treasures, lost civilisations and war time secrets. Jamie’s long established relationship with Heart FM began in 2005 when he started co-hosting the station’s hugely popular weekday breakfast show, which he continues to present to date with co-presenter Emma Bunton. 2016 sees Jamie fronting Sky 1’s new flagship show ‘Dogs might fly’.